Fig.1 Schematic illustrations of DBD-PAs. 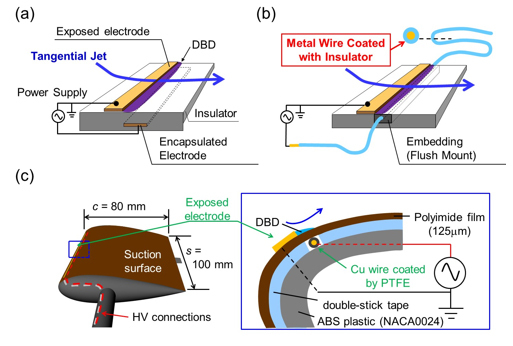 (a) Conventional sheet-type DBD-PA, (b) sting-type DBD-PA embedded in insulation layer, (c) string-type DBD-PA embedded in dielectric sheet lapped around NACA0024. Fig.2 Structures of fiber Bragg grating (FBG) sensor. 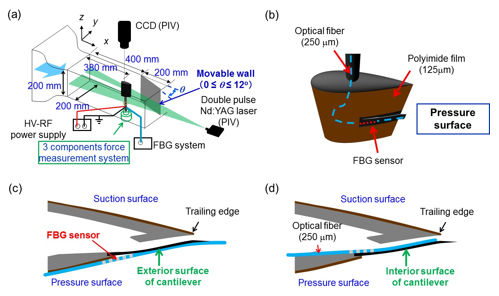 Fig.3 (a) Wind tunnel with movable wall, (b) FBG sensor attached on pressure surface of NACA0024, (c) FBG sensor attached on exterior surface, and (d) on interior surface. Fig.4 Bragg wavelength shift and their standard deviations detected by FBG sensor attached on exterior surface (Fig. 3(c)) under periodic wall oscillation. (a), (b) Without flow control, (c), (d) with feedback control. Fig.5 Bragg wavelength shift and their standard deviations detected by FBG sensor attached on interior surface (Fig. 3(d)) under periodic wall oscillation. (a), (b) Without flow control, (c), (d) with feedback control. 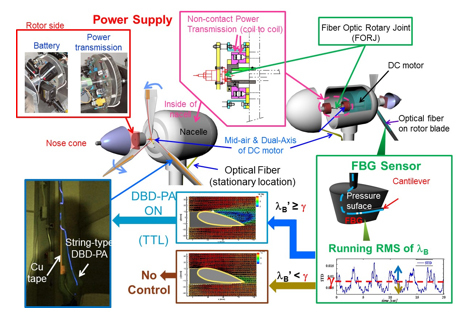 Fig.6 Overview of wind turbine project on feedback control of flow separation by using DBD plasma actuator and FBG sensor. Fig.7 Examples of losses between end faces of optical fibers in FORJ. 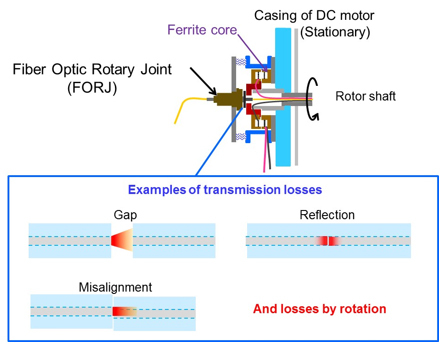 Fig.8 Reflected power from FBG sensor attached on rotor. (a) FORJ with AR coated end faces, (b) FORJ with flat and angled end faces. (1) Gad-el-Hak, M., Flow Control: Passive, Active and Reactive Flow Management, Cambridge University Press, London (2000). (2) Roth, J. R., Sherman, D. M., and Wilkinson, S. P., “Boundary Layer Flow Control with a One Atmosphere Uniform Glow Discharge”, Proceedings of 36th AIAA Aerospace Sciences Meeting and Exhibit, AIAA 98-0328 (1998). (3) Corke, T. C., Enloe, C. L., Wilkinson, S. P., “Dielectric Barrier Discharge Plasma Actuator for Flow Control”, Annual Review of Fluid Mechanics, Vol. 42 (2010), pp. 505-529. (4) 藤井孝藏, 松野隆, “DBDプラズマアクチュエータ -バリア放電を利用した新しい流体制御技術”, 日本機械学会流体工学部門ニューズレター「流れ」, 大気圧プラズマ流, I：低温プラズマ流, 2007 年 12 月号. (5) 深潟康二, “プラズマアクチュエータの基礎と最新動向”, ながれ, Vol. 29 (2010), pp. 243-250. (6) 松野隆, “プラズマアクチュエータを用いた剥離制御”, 日本機械学会誌, 特集：ここまで来た 流れの制御, Vol. 115, No. 1197 (2012), pp.692-696. (7) 瀬川武彦, Timothy Jukes, 湯木泰親, “ひも型プラズマアクチュエータ誘起噴流の流動特性”, ながれ, Vol. 31(2012), pp. 479-482. (8) Segawa, T., Pang, J., Ikehara, T., Maeda, R., Yoshida, H., “MEMS-Based Cantilever Sensor for Fluid Dynamics Measurements”, MEMS and Related Material Technologies, Research Signpost, (2010), pp. 217-243.